Clearway Towing in Calgary, AB is looking to add a roadside assistance technician to our team. 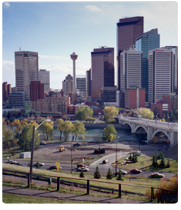 Clearway Towing is a growing towing and roadside assistance services provider based in Calgary, AB. We are known for our excellent customer service and for taking great care of both our customers and our staff. As roadside assistance providers, Clearway Towing makes sure to have a team of roadside assistance technicians on call 24 hours a day. The company works 365 days a year, to ensure that we are always available to handle all calls and to have customers that have been stranded on the roadside back on the road as quickly as possible. If you are interested in this position, please Apply Here!